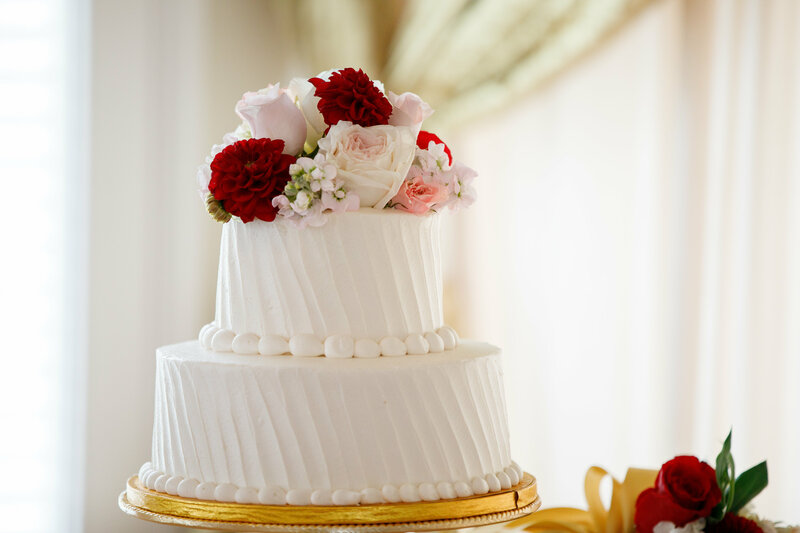 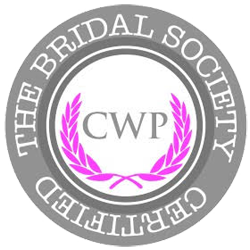 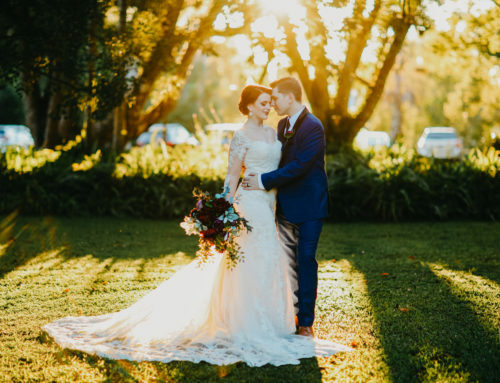 Traditional Classic weddings never go out of style, and quite honestly we can’t get enough of them! 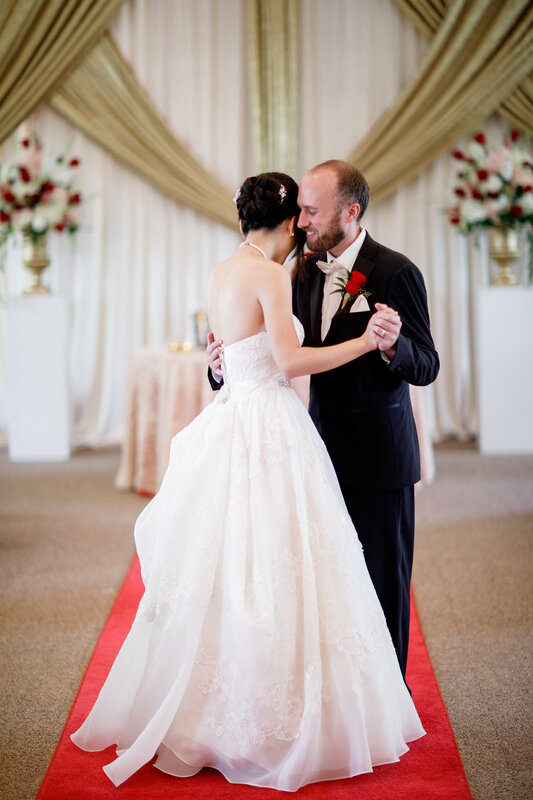 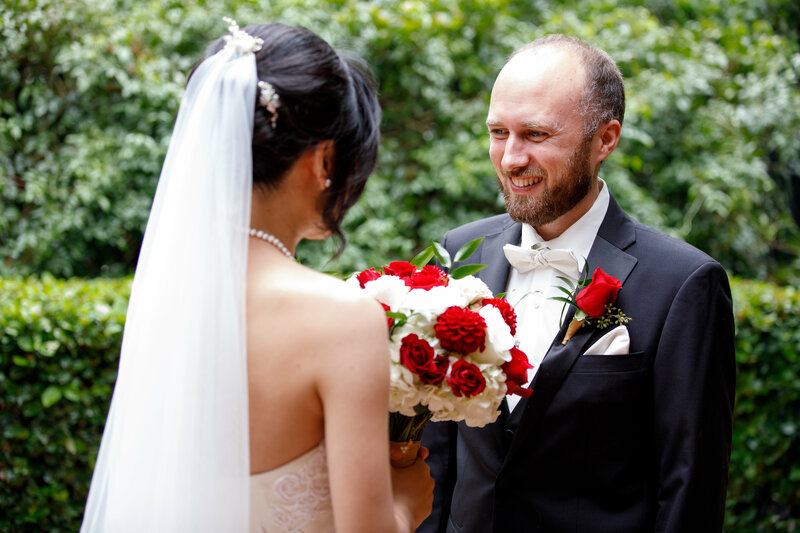 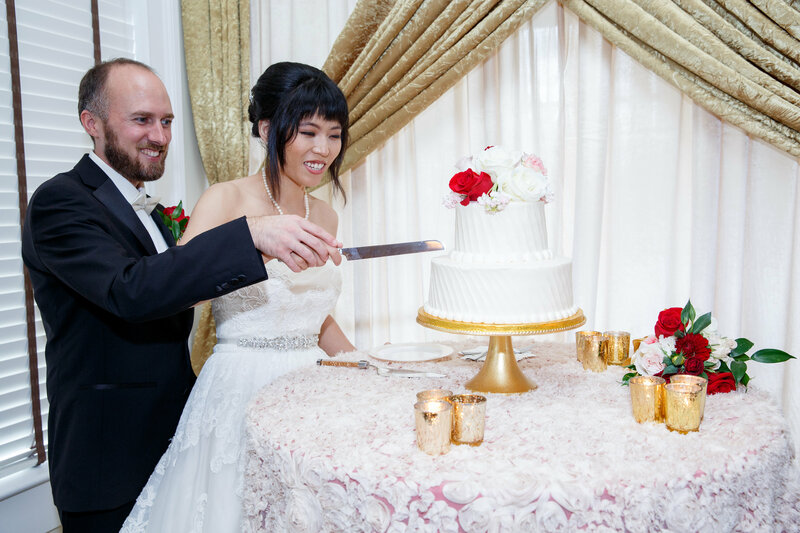 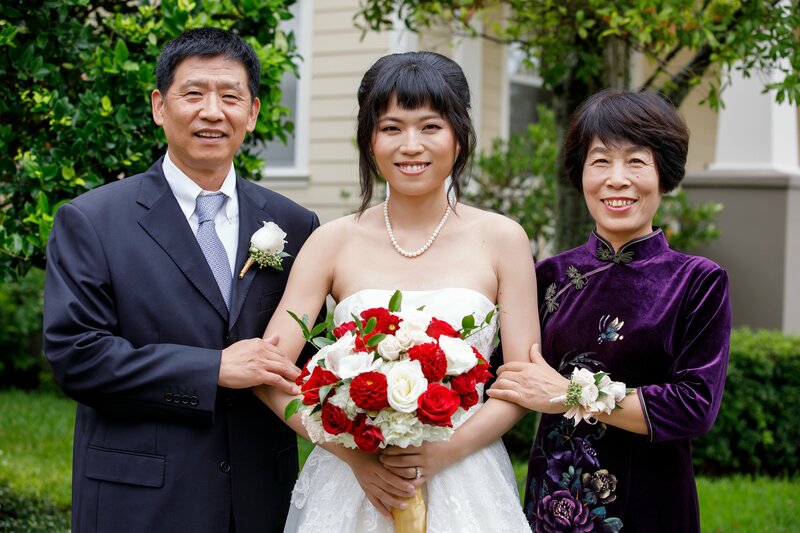 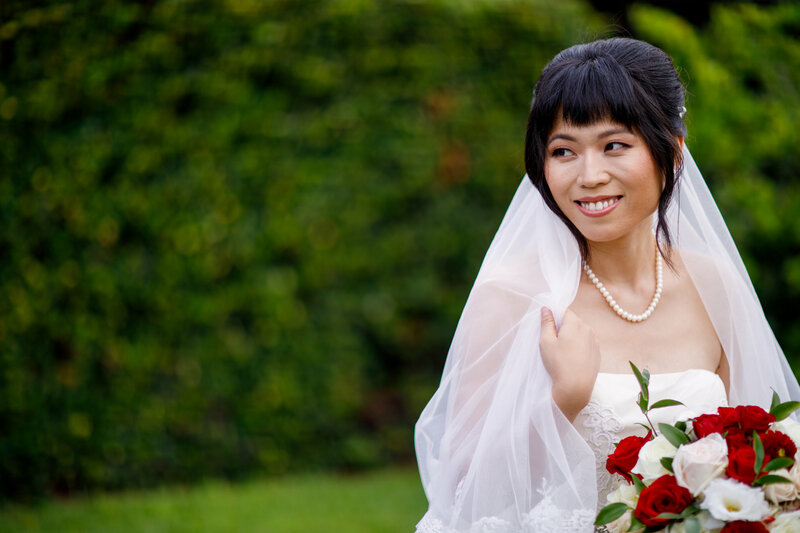 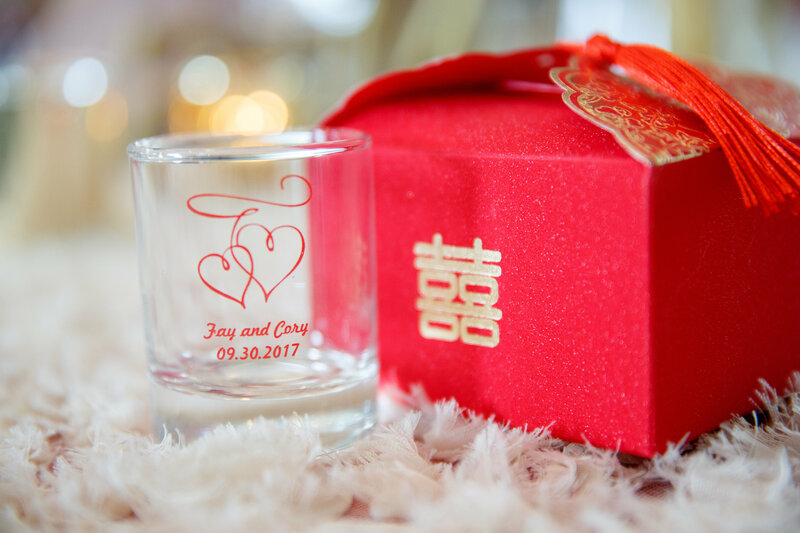 Fay & Cory’s classic wedding infused with some Chinese culture was the epitome of classic glamorous perfection!! 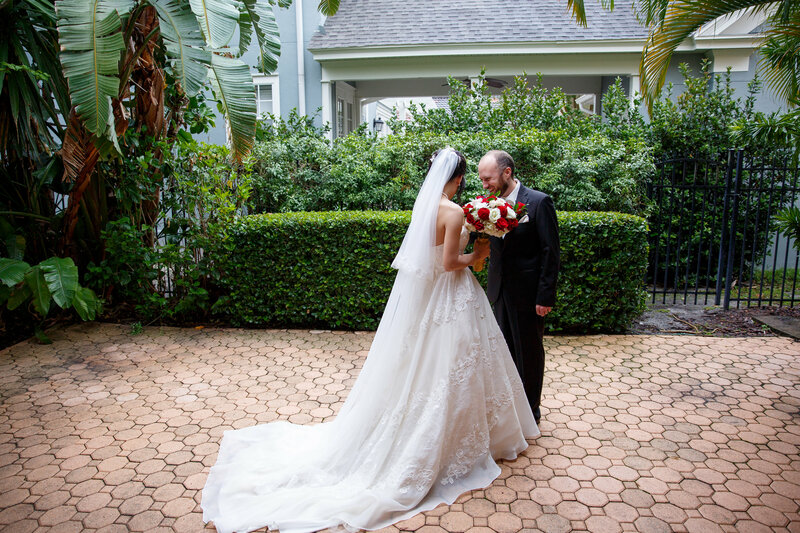 This lovely couple tied the knot on the beautiful morning of September 30, 2017. 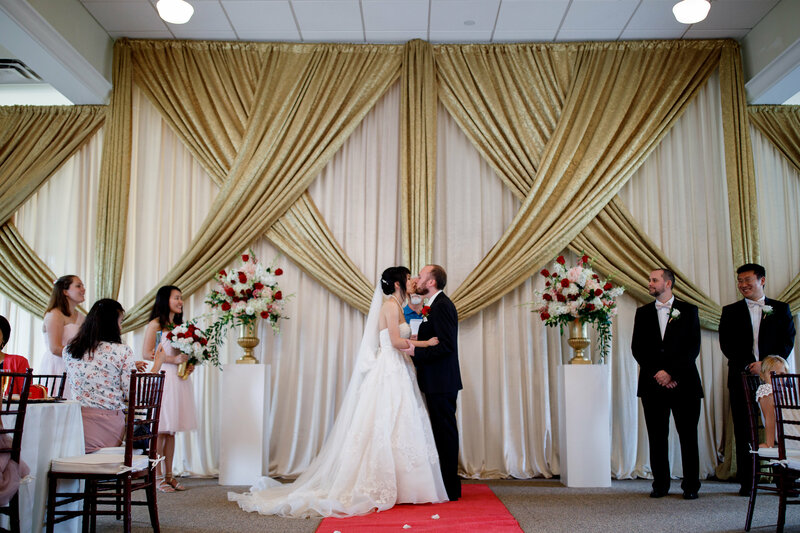 The elegant ballroom reception was turned into another world, filled with stunning draping, gorgeous blooms, rustic bold elements and personalized touches. 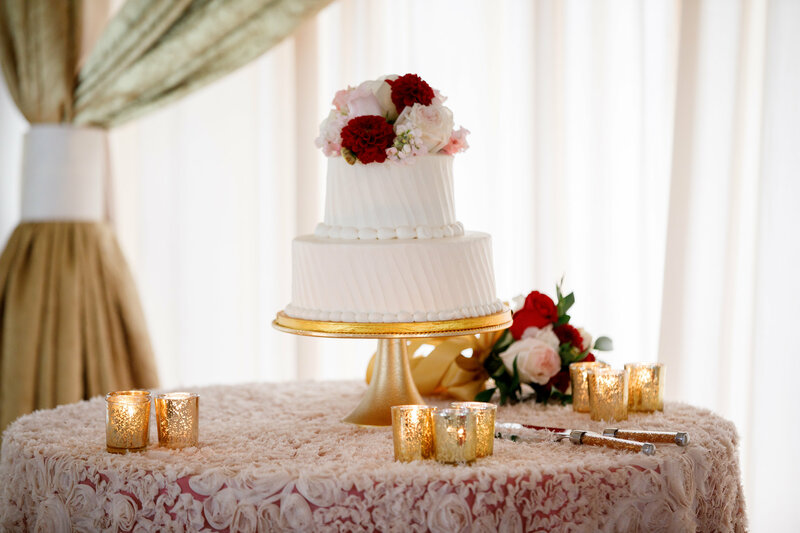 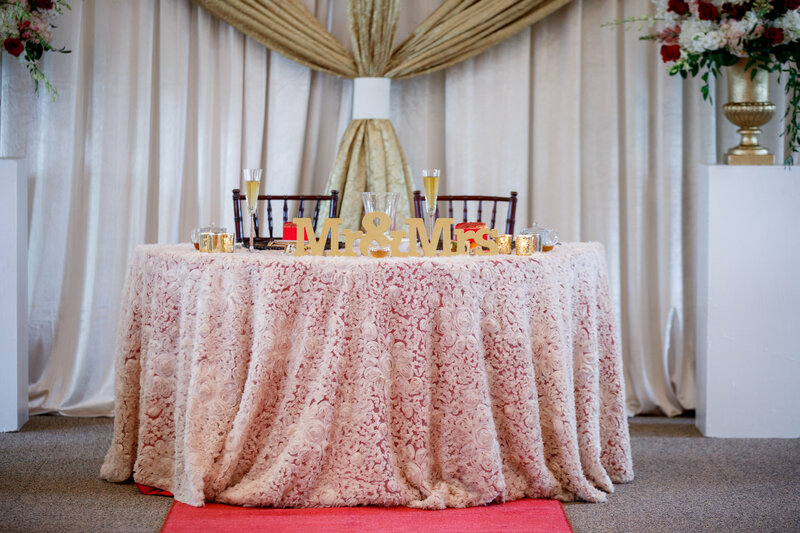 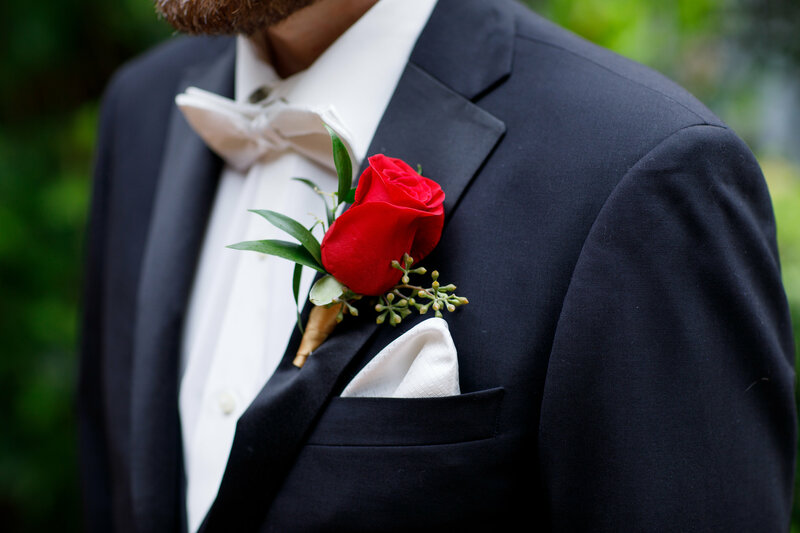 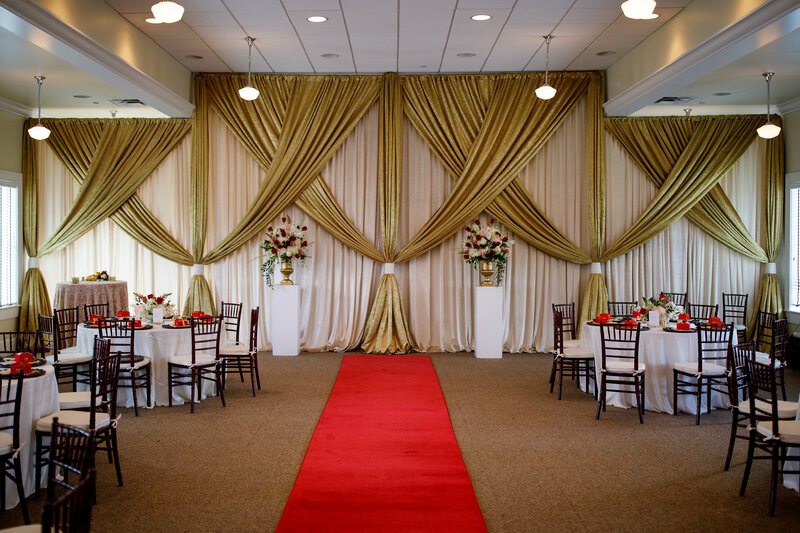 Hues of Reds, Ivory and Champagne were the primary colors accented with gold and metallic elements. 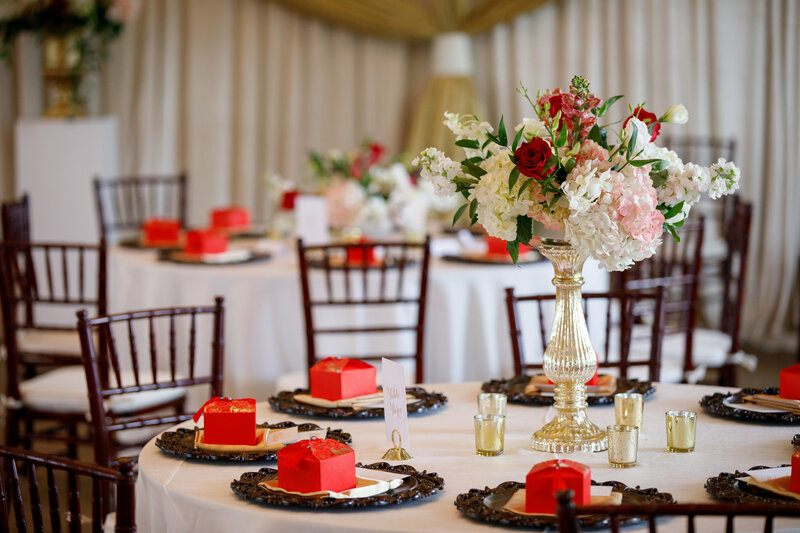 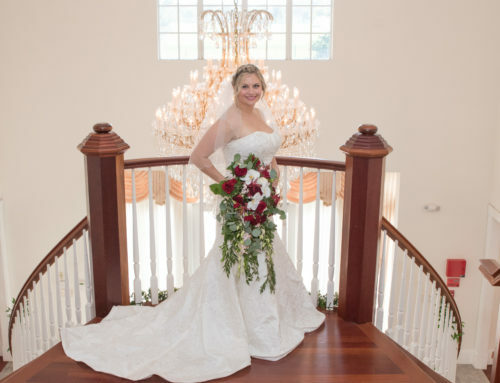 For the florals, Lee Forrest created some fabulous centerpieces with Dahlias, Stock, Lisianthus, Snapdragon and a variety of garden and spray Roses in blush, burgundy and our very own bride’s favorite red Roses. 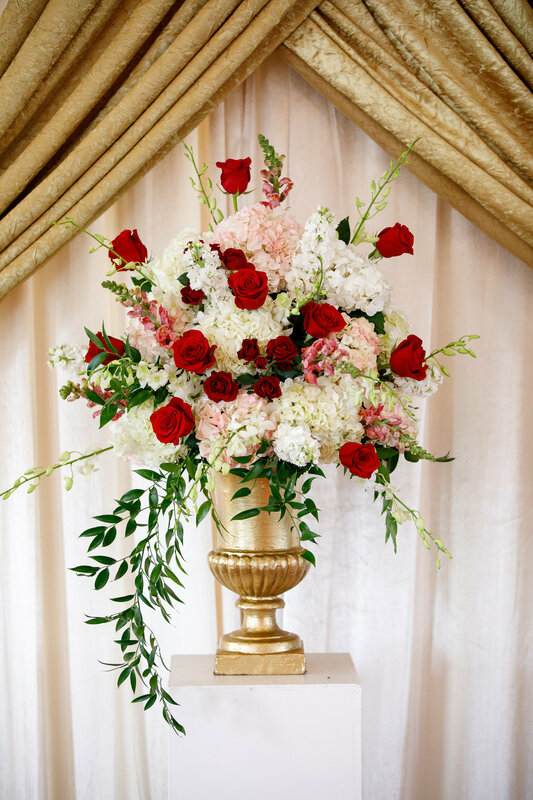 This was the main flower in her gorgeous bouquet. 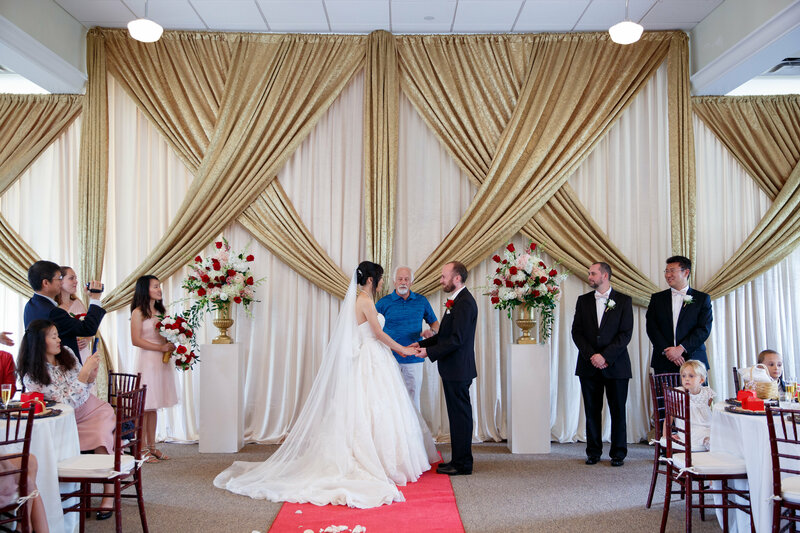 An eye-catching look was added into the couple’s reception decor by alternating high and low arrangements on tables and gold mercury votives for a romantic feel. 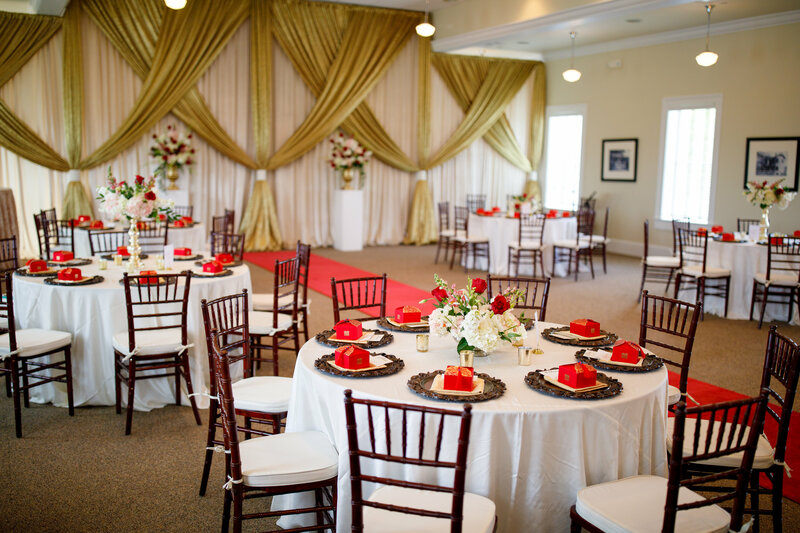 Mahogany lacquered chargers and chiavari chairs tied in this beautiful and classic wedding style. 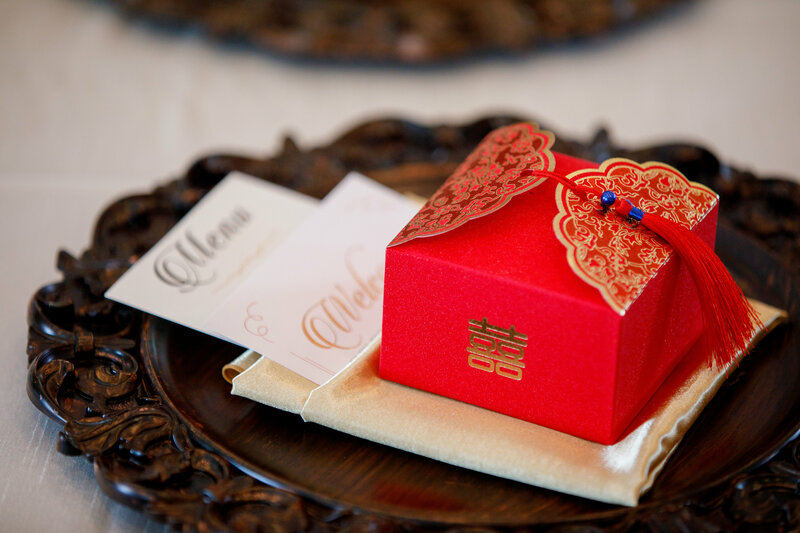 The guest’s favors, placed on each setting were personalized by our lovely bride’s Chinese culture. 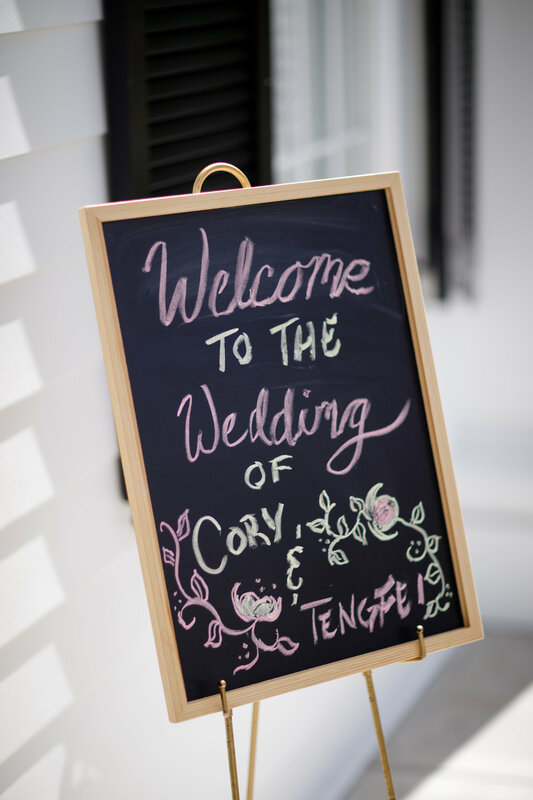 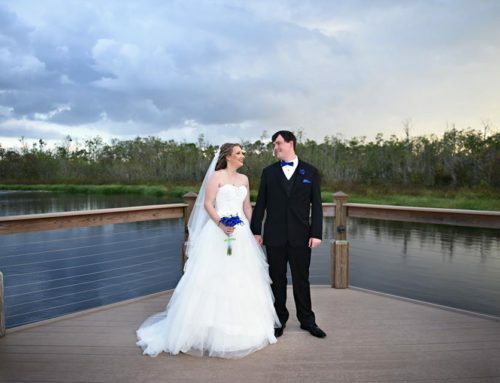 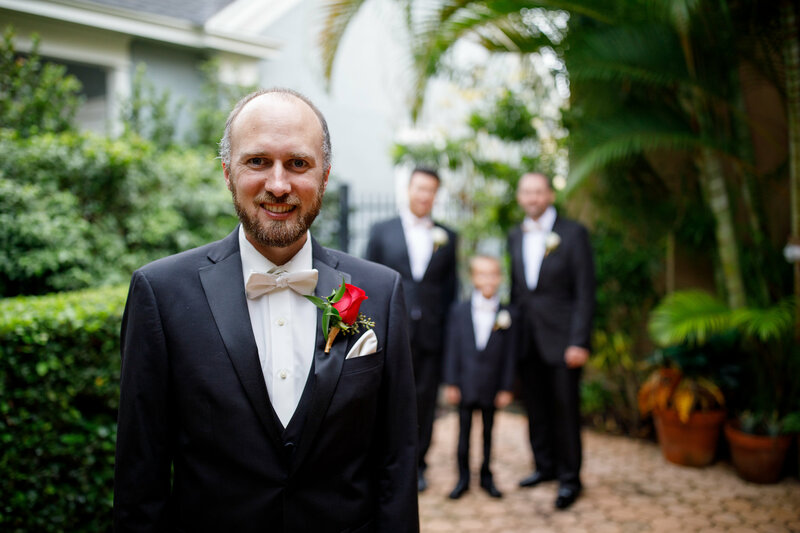 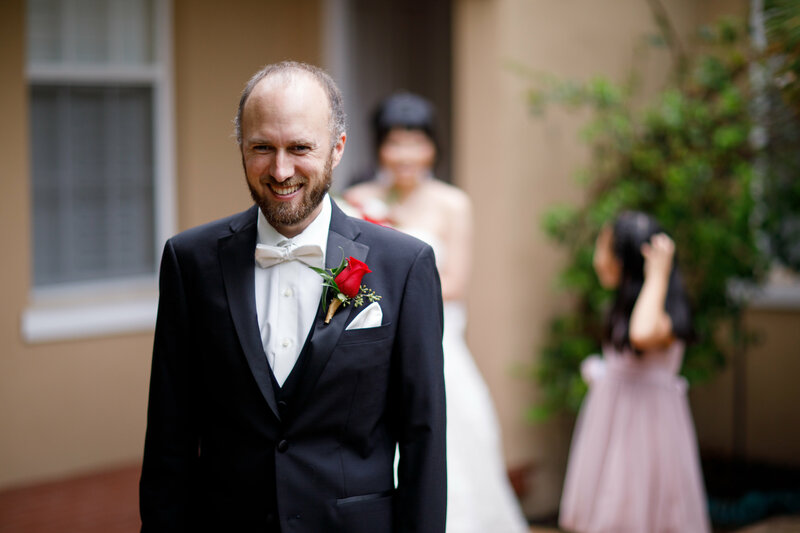 Fay looked every inch of a princess in her beautiful ivory ball gown, embellished Badgley Mischka pump shoes and a graceful cultured pearl necklace completed her timeless look.Cory looked oh so handsome and sharp in his classic black tux. 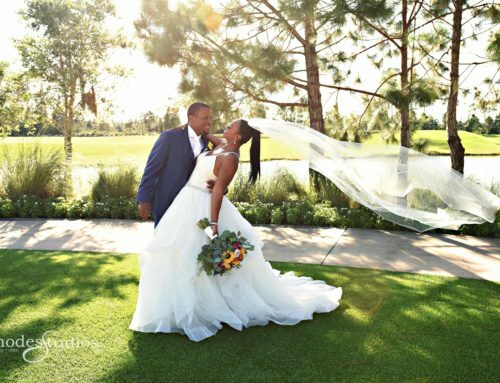 The couple’s first look was beyond words, having that moment to breathe together before they walked down the aisle was priceless. 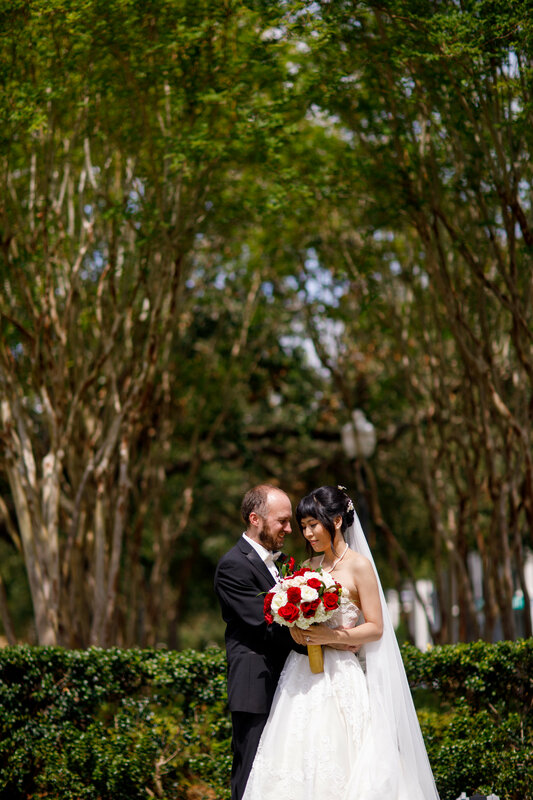 They just stood there and took in the moment before all the whirlwind that was to come. 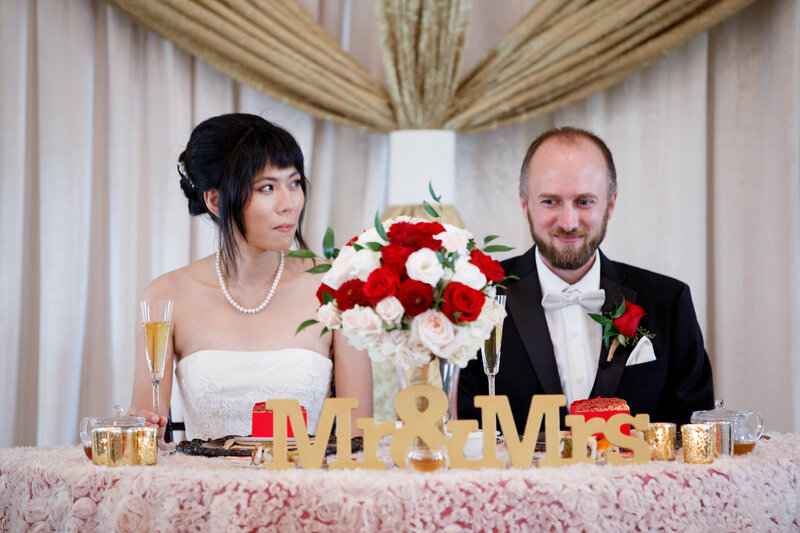 Red was the color of the day so it seemed fitting that the lovely couple to have a red carpet and all it’s glam!This color traditionally symbolize good luck, happiness and prosperity in Chinese culture. 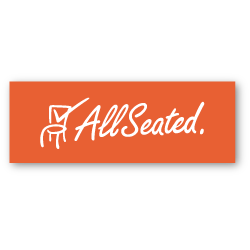 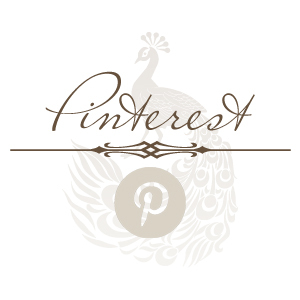 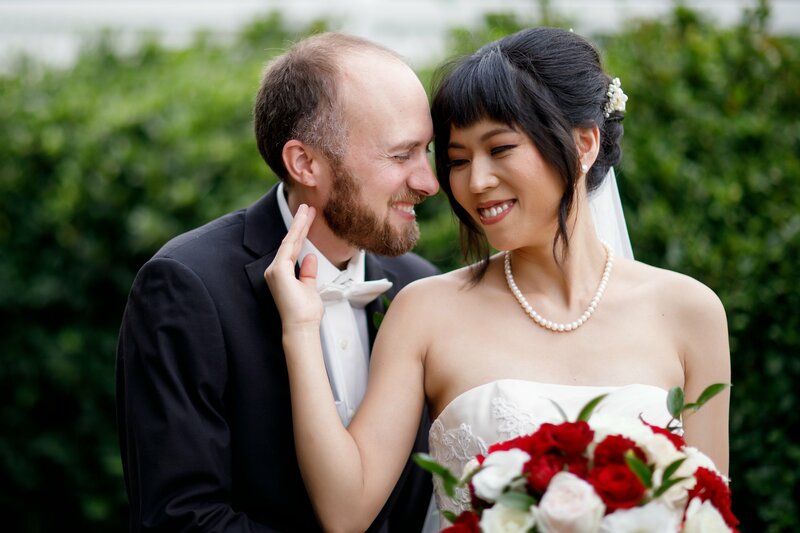 Their wedding was filled with many sweet & memorable moments from start to finished. 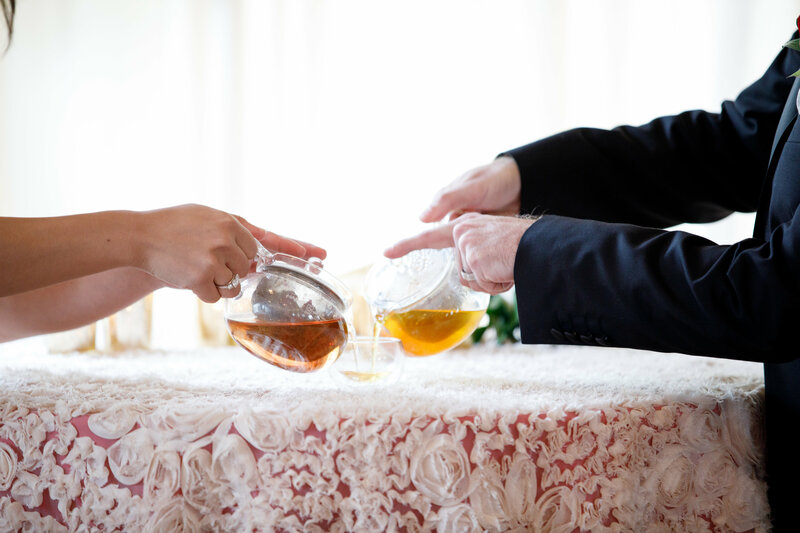 To honor the bride’s family custom the couple use tea as their unity ceremony. 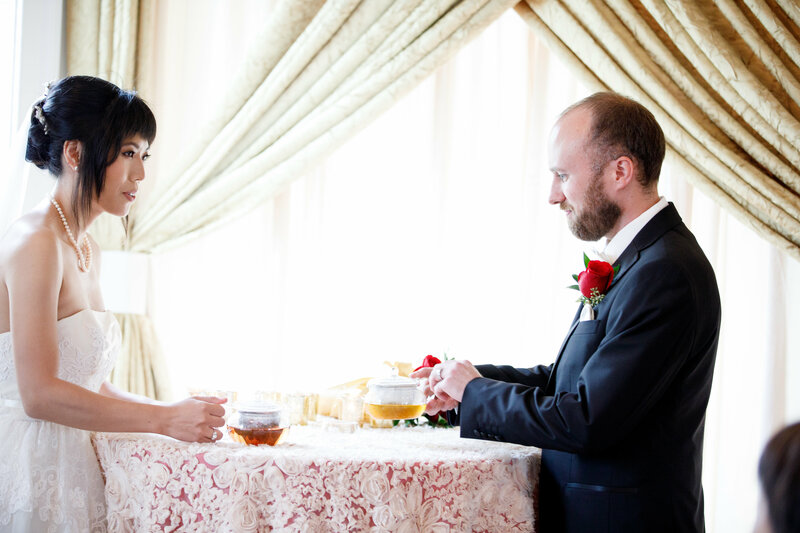 The tea was used to respect the Chinese culture as well as the American culture. 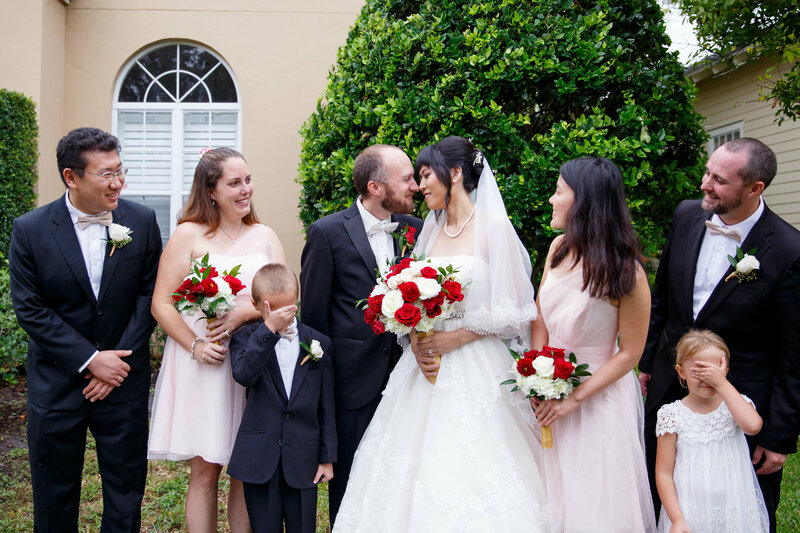 After their formal & family portraits, Fay & Cory joined their wedding guest at the venue to celebrate their union. 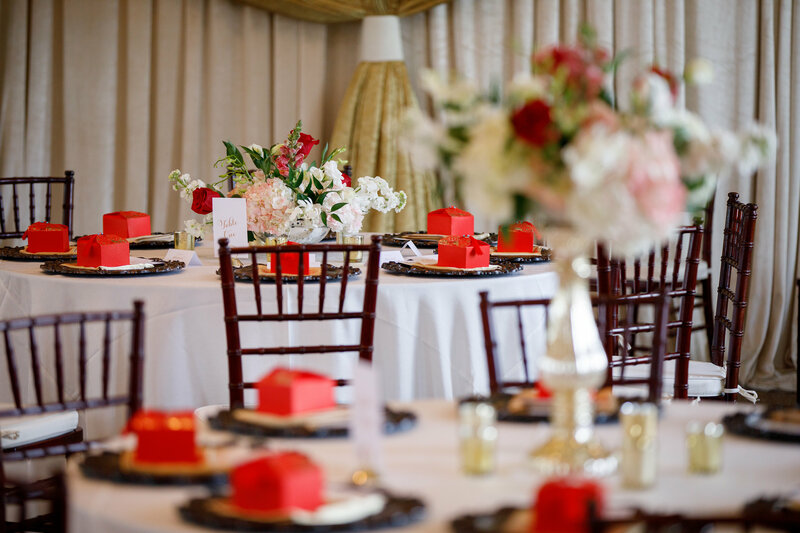 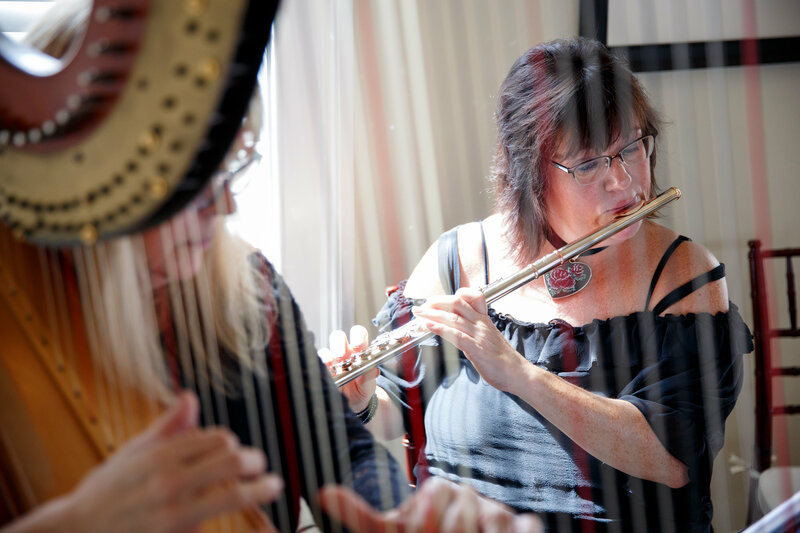 The lunch reception that followed was filled with the vibrant spirit of the day. 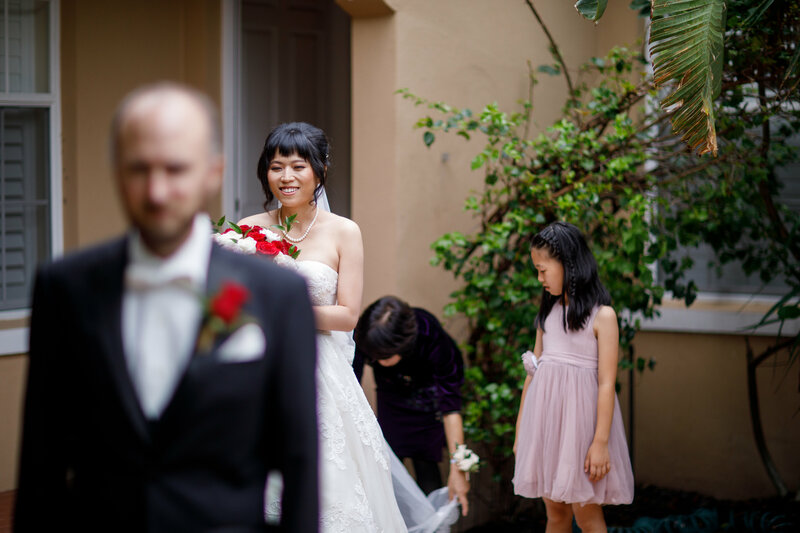 You can feel their guest’s excitement as the couple sway in to their first dance as husband and wife.The rest of the afternoon was shared between family and friends gathering, laughing and of course an array of Chinese dishes!! 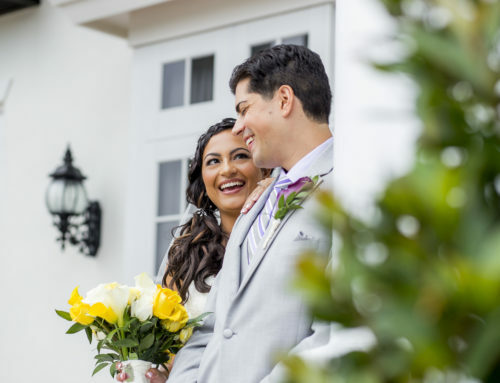 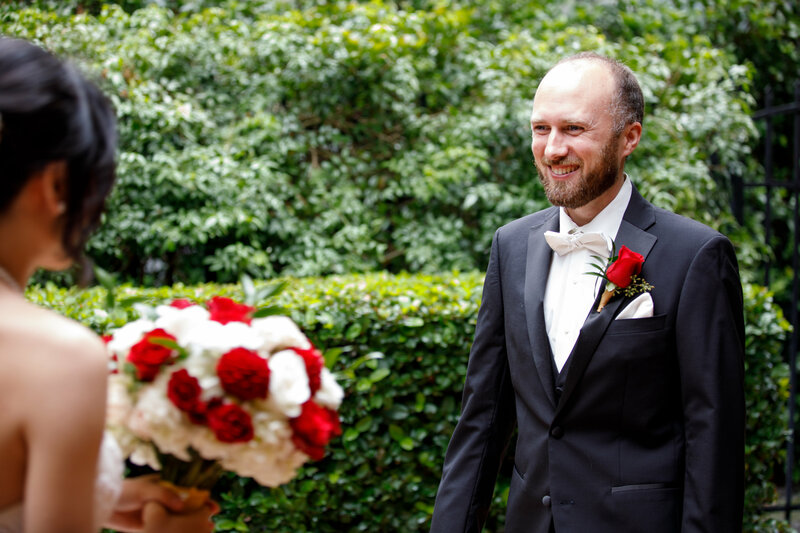 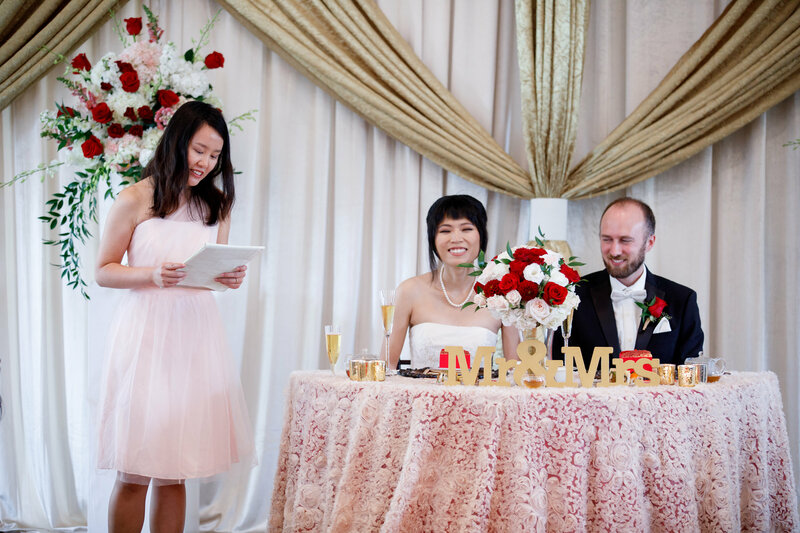 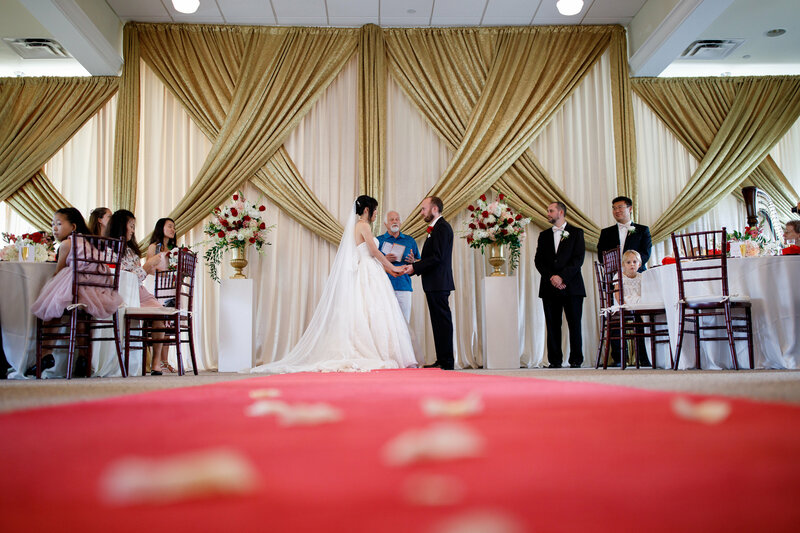 The Grace Hopper Hall in Baldwin Park was the perfect venue for these two and we are so happy to have been able to share in their special day.